As Camp Bestival's name suggests, we place a lot of emphasis on making sure your campsite experience is the best it can be. There are several different types of camping field (plus a campervan area and a caravan/trailer tent area) at Camp Bestival - each with car parks relatively close by to reduce how far you'll need to walk with all your kit (phew! ), and each with their own sets of showers, loos (many of which will be of the eco-friendly and non-smelly compostable variety), tasty food stalls, recycling points and more. All campsites open on Thursday to give you an extra day to arrive early and set up camp, settle in and plan your itinerary before the main entertainment begins on Friday morning. The Main Campsites are located near to the Magic Meadow field and you just need to turn up, pick your space and park your own tent. Camping in the Main Campsites is included free with your event ticket. This area has been divided up into 2 coloured zones, Purple and Yellow... just to help you find your tent. Most of the area in these campsites is for family camping although there will also be a signed area which is for non-families. Camping Plus is our premium campsite for those of you that want to guarantee yourselves a healthy amount of reserved camping space. For an additional fee, you'll get a guaranteed plot which you can select when you book using our online theatre-style booking system, and all the plots can be individually booked so you can ensure the whole of your party are camping side by side in adjacent plots. All this plus a dedicated car park and entrance, easy access to showers, loos and top notch cafes so you can set yourself and the family up for the day with a cracking breakfast. Backstage Camping is our exclusive backstage premium campsite, directly behind the Main Stage, offering Backstage Camping Upgrade ticketholders prime, spacious camping ground in which to pitch their own tents. With access to a host of exceptional facilities, including clean, flushing toilets, hot showers and a dedicated car park, Camp Bestival Backstage Camping adds comfort and style to the festival experience, so you can concentrate on having the time of your lives. Our Boutique Campsite (is where you will find over 15 fantastic accommodation options including Tipis, Yurts, Podpads, Bell Tents, Bedouin Tents, Shikar Tents and Gypsy Bowtop Caravans. Check out the Boutique Campsite accommodations page for prices, more info and to book. 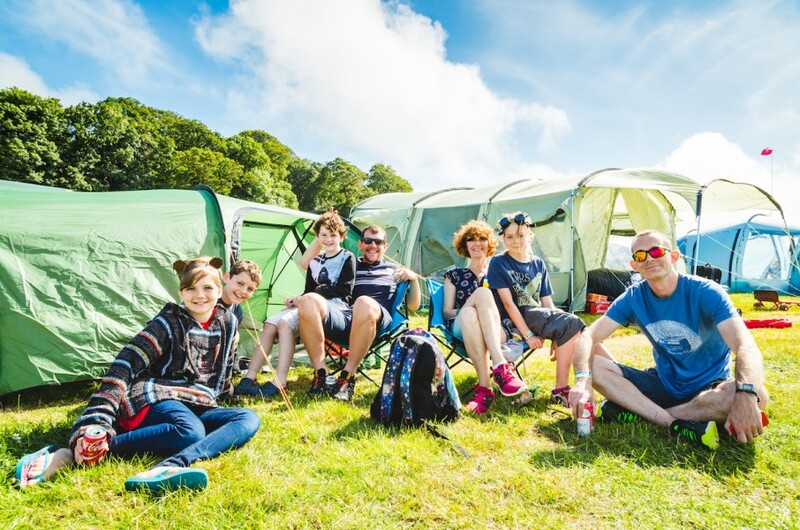 Hospitality Camping offers luxurious creature comforts in a beautifully designed, spacious campsite with fast access to the heart of the main Castle Stage arena. This is how to festi-holiday in true style! There is also a separate Campervan area for which you will need to buy a separate campervan ticket in addition to your festival ticket. Caravans & Trailer Tents are also welcome - a separate ticket will be needed in addition to your festival ticket. We will publish a site map around 1 week before the event so you can see how the festival site, campsites and car parks are all laid out.